I was watching the NFL RedZone Channel yesterday and just before halftime of the Steelers – Ravens game, quarterback Ben Roethlisberger hit wide receiver JuJu Smith-Schuster with an 11-yard touchdown pass. 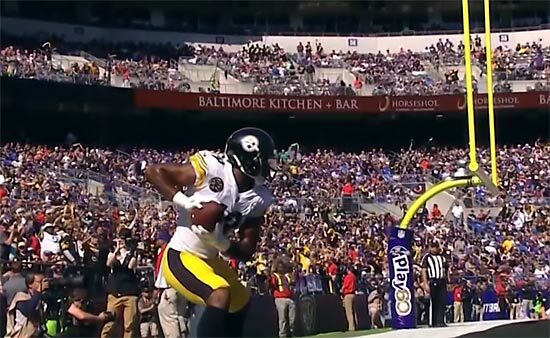 JuJu then celebrated with a Dragon Ball Z Kamehameha Spike! It was kinda awesome. Watch the video below!